The St. Louis Cardinals system went 4-5 on the Fourth. Second baseman Donivan Williams is the Player of the Day after going 4-for-5, scoring three, driving in four and just missing the cycle to power Johnson City to a win. Results from games played on Wednesday, July 4. The Fourth of July fireworks crowd at AutoZone Park was treated to a pitchers’ duel that went three extra frames, but when all was said and done, the Memphis Redbirds dropped a 2-1 decision to Omaha in the series opener. Starter Kevin Herget worked eight solid innings, giving up one run on four hits. He did not issue a walk and struck out six. With the Redbirds trailing 1-0 in the bottom of the ninth, Adolis Garcia reached on a throwing error and moved to third on Alex Mejia’s single. Edmundo Sosa’s single to center field scored Garcia and sent the game into extra innings. Newcomer Tyler Webb threw two shutout innings of relief, and Edward Mujica added a scoreless 11th. Conner Greene took over in the 12th and his wild pitch advanced the designated runner from second to third. A double to center plated the run that put Omaha ahead, 2-1. The Redbirds were unable to score in the bottom of the 12th to end it. Despite just nine hits, all singles, and no walks, Memphis had its chances, but could not convert, going just 1-for-13 with runners in scoring position and leaving 13 men on base. Garcia, Wilfredo Tovar and Carson Kelly were all 2-for-5. Tovar and Max Schrock were both picked off first base. The loss snapped the Redbirds’ six-game winning streak as their record is now 53-33 on the season. 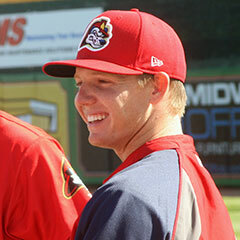 Thursday’s game: Jake Woodford (0-1, 5.00) vs. Omaha Storm Chasers, 7:05 PM Central time. The S-Cards dropped the first of three at Hammons Field to Frisco, falling to a dismal 2-11 in second half play. 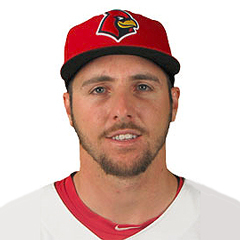 Starter Mike O’Reilly allowed four earned runs on 10 hits over five innings, including a two-run shot by former Springfield Cardinal Eliezer Alvarez. O’Reilly dropped his third Double-A game in five decisions. Austin Sexton yielded a run in the sixth before Ian McKinney (two innings) and Colton Thomson (one) held the line from the seventh on. Springfield was held to just five hits with Blake Drake accounting for two hits and two RBI, including a solo shot, his fourth of the season. Ramon Urias and Evan Mendoza doubled. Thursday’s game: Anthony Shew (4-3, 5.10) vs. Frisco RoughRiders, 7:10 PM Central time. With run support galore, the Cardinals stormed their way to an 11-1 win over the Tortugas on Wednesday. Center fielder Chase Pinder and first baseman Stefan Trosclair were each 2-for-3 with two runs batted in. Pinder doubled twice and Trosclair tripled. Pinder, designated hitter Dylan Carlson, and second baseman Andy Young scored two runs apiece; Young launched his 10th long ball of the season. The team was clearly successful manufacturing runs, as Palm Beach was 4-for-9 with runners in scoring position. The game only lasted five innings, due to a weather delay after the fifth inning that eventually led to the game being called. 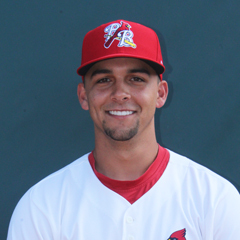 Cardinals starter Jake Walsh logged all five innings, during which he fanned five and surrendered only one earned run. With the victory, Walsh now has a 4-1 record. Thursday’s game: Ian Oxnevad (4-5, 5.08) vs. Daytona Tortugas, 5:30 PM Central time. Every Chief had a hit and contributed a run – either scoring or driving one in – in Peoria’s 13-4 win over the Bees at Dozer Park. Six Peoria players had two hits: left fielder Nick Plummer, second baseman Irving Lopez, third baseman Elehuris Montero, first baseman Yariel Gonzalez, designated hitter Wood Myers, and center fielder J.R. Davis. Plummer and Lopez scored three runs apiece, while Montero and catcher Julio Rodriguez had three runs batted in. Chiefs starter Jesus Cruz allowed two runs in 4 2/3 frames, striking out nine batters and walking three. Since Cruz didn’t go five innings, it was Paul Balestrieri who picked up the win. Improving to 5-3, Balestrieri allowed two runs with five punchouts over 4 1/3 innings to finish out the win. 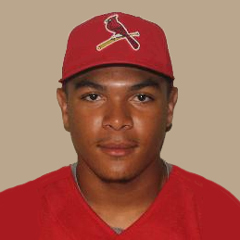 Thursday’s game: Alvaro Seijas (2-4, 5.03) vs. Burlington Bees, 7:00 PM Central time. Backed by quality pitching, the Spikes defeated the Doubledays, 3-1, on Wednesday in Auburn. Spikes starter Jim Voyles allowed one run over his seven-inning outing. Voyles fanned six batters and earned his first professional win. Will Changarotty added his second hold, and Cory Malcom picked up his third save. State College center fielder Wadye Ynfante hit his first home run of the season. Second baseman Nick Dunn and catcher Matt Duce each scored a run as well. Duce and first baseman Brady Whalen doubled to account for two of three extra-base hits, along with Ynfante’s home run. 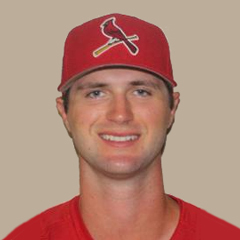 Thursday’s game: Michael Baird (0-0, 3.24) at Auburn Doubledays, 5:30 PM Central time. A rich offensive performance lifted the Cardinals to an 11-3 road win over the Pirates. 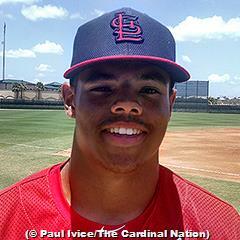 Cardinals second baseman Donivan Williams, our Player of the Day, went 4-for-5 at the plate. Williams scored three runs and batted in four, including three on his first home run of the season. Williams had a triple and finished a double shy of the cycle. Third baseman Nolan Gorman hit his fifth home run and now has four in his last four games. Johnson City went 7-for-16 with runners in scoring position. 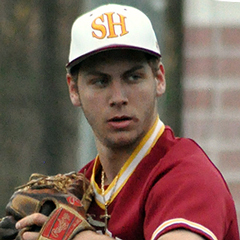 Evan Sisk pitched three scoreless innings in his start. Edwar Ramirez came up big with five innings of two-run ball in relief. It was Ramirez’ first win with Johnson City. Mike Brettell logged a scoreless ninth inning. Thursday’s game: TBA at Bristol Pirates, 6:00 PM Central time. The Astros held the Cardinals’ bats quiet and enjoyed a 3-1 win on Wednesday. The Cards managed just four hits on the afternoon. New center fielder Diomedes Del Rio scored the team’s only run of the day on catcher Ivan Herrera’s RBI single. The Cardinals went 0-for-8 with runners in scoring position. Rehabbing Derian Gonzalez started the game and pitched just the first inning, allowing one hit and striking out two. Regular starter Perry DellaValle, though he took his first loss, turned in five innings of two-run ball, striking out five batters along the way. Ty Cohen went 2 2/3 innings, yielding an insurance run, before Wilfredo Pereira notched the final out. Thursday’s game: at GCL Marlins, 11:00 AM Central time. With six runs over the final three innings, the Rockies came from behind to beat the Cardinals Blue by a 6-3 final score. Starter Francis Ventura turned in six scoreless innings, during which he fanned five Rockies. Josue Ramirez and Leonardo Taveras got in to trouble in relief. Ramirez pitched 2/3 of an inning and allowed three runs, and Leonardo Taveras went 2 1/3 frames and was charged with three more. Taveras took the blown save and loss, his first. First baseman Freddy De Jesus went 2-for-4 with his third home run of the season. Left fielder Leudy Pena was 3-for-4 with a run scored, and designated hitter Jean Selmo also scored. Thursday’s game: at DSL Twins, 9:30 AM Central time. The Cardinals Red finished on top of Wednesday’s offense-heavy affair, defeating the Brewers by an 11-7 score. 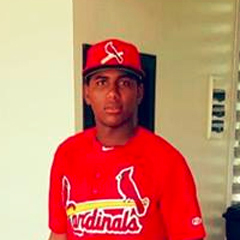 Cardinals designated hitter Alexander Samuel went 1-for-4 with a triple, a run scored, and three runs batted in. Second baseman Erik Pena and center fielder Joerlin De Los Santos each had three hits and scored twice. Martin Cordova improved to 3-0 after twirling six scoreless innings with five strikeouts. Roy Garcia walked four batters and allowed five runs in his 1/3 of an inning, and Dionys Rodriguez walked three and allowed two runs in 2/3 of an inning. Sebastian Tabata tossed two scoreless innings to finish out the victory. Thursday’s game: vs DSL Cubs2, 9:30 AM Central time.